Duchenne muscular dystrophy (DMD) is an X-linked genetic disorder caused by mutations in the DMD gene which encodes dystrophin, a sarcolemmal protein. Although loss of dystrophin is the primary cause of this disease, activation of several secondary mechanisms contributes to the disease progression. The dysregulation of Ca2+ cycling and elevation of intracellular Ca2+ concentration is suggested to play a central role in disease pathogenesis in DMD. The sarco/endoplasmic reticulum Ca2+ ATPase (SERCA) activity, which accounts for >70% cytoplasmic Ca2+ removal during muscle contraction, is significantly decreased and majorly contributes for the intracellular Ca2+ overload in DMD. We have shown that abnormally high-level expression of sarcolipin (SLN), an inhibitor of SERCA pump, is the cause of SERCA dysfunction in dystrophic muscles. 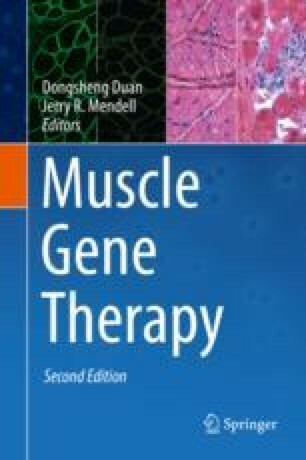 Here we review the recent findings from genetically modified mouse models which demonstrated that reducing SLN expression is sufficient to improve the SERCA function and mitigate the severe muscular dystrophy phenotype in mouse models of DMD. The concept of SLN knockdown in mitigating DMD should be helpful to identify new drugs as well as generating novel gene therapy-based approaches for the treatment of DMD. This study is supported by the National Institute of Arthritis and Musculoskeletal and Skin Diseases, the US National Institutes of Health (NIH) grant (Grant #1R01AR069107 to G.J.B. ), and the American Heart Association (Founders Affiliates) grant in aid (Grant # 16GRNT30960034 to G.J.B. ).